The University of Maine at Presque Isle is pleased to present Dr. Richard Keeling, a nationally recognized expert on transformative change for higher education, as the next speaker in its 2012-2013 Distinguished Lecturer Series. 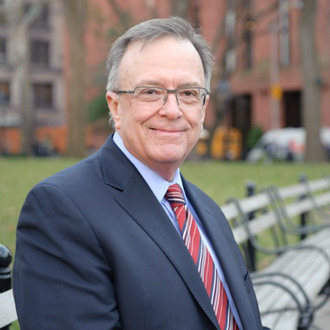 Dr. Keeling will deliver his talk The Future of College: Rethinking American Higher Education, which also serves as the keynote for UMPI’s 12th Annual University Day, on Tuesday, April 9 at 7 p.m. in the Campus Center. His presentation is free and open to the public. Dr. Keeling is the co-author of the recently published book We’re Losing Our Minds: Rethinking American Higher Education, which argues for substantial change in the culture of higher education to support higher quality and better value in undergraduate education in the United States. He also leads New York City-based Keeling and Associates, LLC, a comprehensive higher education consulting practice whose mission is improving outcomes in higher education by creating change for learning. The theme of this year’s University Day is Linking Generations through Teaching and Learning. During his talk, Dr. Keeling will discuss higher education’s conflicting priorities such as cost versus quality, college for credentialing or higher learning, diversity of learning formats and systems, whether college is a consumer product or a public good, and the ultimate challenge of preserving higher learning as higher education changes. Since founding K&A, Dr. Keeling has worked with more than 500 institutions and organizations in the United States and Canada over nearly 25 years of practice. He believes that learning should be transformative, that learning must be at the core of the mission of colleges and universities, and that sound processes of institutional renewal can enable campuses to improve learning in its broadest sense. Dr. Keeling serves on the Board of Directors of the Council for the Advancement of Standards in Higher Education (CAS) and has been president of four professional organizations in higher education. He edited three sequential publications that focus on improving learning: Learning Reconsidered, Learning Reconsidered II, and Assessment Reconsidered. He has published more than 125 articles, monographs, and books, and served as Editor, for two terms, of the Journal of American College Health. He has received the highest awards of both the American College Health Association (ACHA) and NASPA-Student Affairs Administrators in Higher Education. Dr. Keeling collaborated with his colleague Dr. Richard Hersh on We’re Losing Our Minds: Rethinking American Higher Education (Palgrave Macmillan, 2012). Before creating K&A, Dr. Keeling was both a tenured faculty member and a senior student affairs administrator at the University of Virginia and the University of Wisconsin-Madison. During more than 20 years on campus, Dr. Keeling taught and practiced medicine, directed comprehensive health programs and services, developed collaborative programs in undergraduate education with academic departments and faculty, and explored innovative, cross-institutional approaches to advancing student learning. Dr. Keeling took his bachelor’s degree in English with highest honors from the University of Virginia and received his M.D. from Tufts University School of Medicine; he completed residency in internal medicine and fellowship in hematology. He is the proud father of three liberally educated children and the grandfather of five future college students. The University’s Distinguished Lecture Series was established in 1999. Each year, the UDLS Committee sponsors five to six speakers who come from Maine and beyond, representing a range of disciplines and viewpoints. While the emphasis tends to be on featuring visiting academics, it is not exclusively so. The speakers typically spend two days at the University meeting with classes and presenting a community lecture. Keeling’s talk serves as the kick-off for University Day, with a full day of events following on Wednesday, April 10. From about 8 a.m. to 3 p.m., more than 100 students are expected to offer talks and presentations on their research and community service. A complete schedule of University Day activities can be found at www.umpi.edu/uday. For more information about this Distinguished Lecture or the 12th Annual University Day, contact the University’s Community and Media Relations Office at 768-9452.